Winter doesn’t have to be an entire season of staying indoors, as there are fantastic activities that could let you and your family have a great time through the cold months. Especially if you’d opt to have a winter vacation in the Michigan Peninsula, a good number of winter activities are waiting for you to experience. Planning a trip to Michigan during the cold months is definitely a great idea. Probably, you and your family want to experience common skiing, snowboarding and snow tubing, but the place can offer more than just that. Of course, you should know about these other winter activities, so you won’t miss them upon staying in Michigan. Biking is probably one of the last things you’d thought about when thinking of thick blankets of winter snow. Thing is, you can enjoy biking on a whole new experience when you’re in Michigan. Fat tire biking is a winter activity that you and your family could surely enjoy. These are biking using mountain bikes with 4-inch wide tires, making it suitable to drive through snow. Your kids can even enjoy it, as long as they could handle a common mountain bike. If you see your kids doesn’t know how to ride a mountain bike for fat biking, you can opt to drive the snowmobile. This kind of snow vehicle is easy to drive, that your kids can surely learn it in a while. However, if you don’t wish to drive a snowmobile, you can have a good time watching snowmobile race as well. 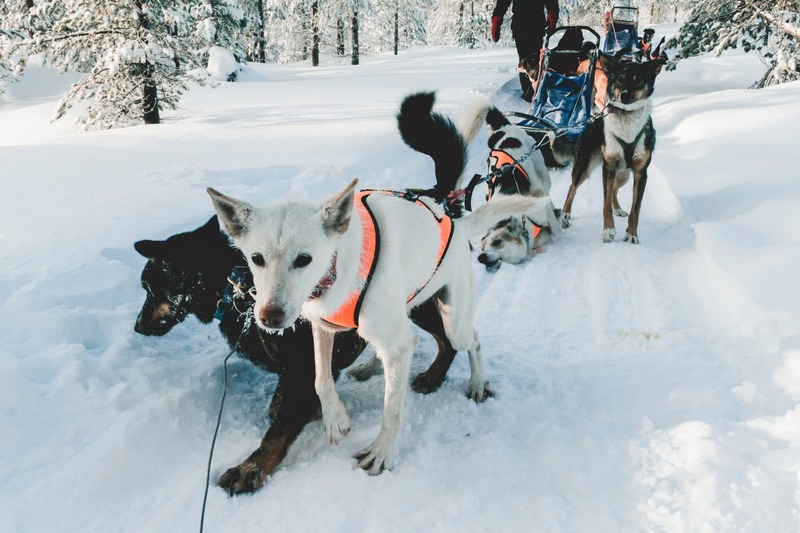 Another enjoyable winter activity you can have at Michigan is to ride a sled guided by snow dogs. You just have to know how to ride on it, and when to get off safely. This could let you and your family have a ride through the Michigan forest, as a team of dogs pulls you through a fantastic ride. If you want a relaxing activity that won’t require too much of your energy, try ice fishing. This could be perfect for adults and kids as well. All you need is to get the proper supplies like baits and rods, then find the best lake to fish upon. Thing is, you need to find the iciest lake that has the hardest ice, then drill a hole on a good spot. That’s when you can put your fishing rod through, and start catching fishes. Probably you haven’t heard that golfing is possible in winter. However, if you’re in Michigan, you can even witness the annual golfing tournament. This involves a good area field with snow and a bright colored ball that could be visible on all the white surrounding. Moreover, the ball also has glow-in-the-dark features, making snow golfing playable at night or on dim cloudy winter days. There you have it. These are a few winter activities you can easily enjoy upon your Michigan vacation. Remember to put everything in your checklist, know where exactly In Michigan you could experience them, and have fun together with your family. This can surely let you have a great time during the cold months.